The Paralympic Movement has grown exponentially around the world in recent decades, and Paralympic sport continues to advance and gain traction. Canada is considered a leader in the Paralympic Movement and is proud to be a part of it. The word “Paralympic” derives from the Greek preposition “para” (beside or alongside) and the word “Olympic”. Its meaning is that the Paralympics are the parallel Games to the Olympics and illustrates how the two movements exist side-by-side. Click here for a list of recent Team Canada Paralympic Games results. Origin of the Paralympic Games is from a wheelchair competition organized by Dr. Ludwig Guttmann for injured serviceman in England in 1948, called the Stoke Mandeville Games and held the same day as the London 1948 Olympic Games opening ceremony. The first of what would ultimately be called the Paralympic Games is held in Rome, featuring 400 athletes from 23 countries. Canada competes in its first Paralympic Games in Tel Aviv, Israel, sending 25 athletes and winning 19 medals. 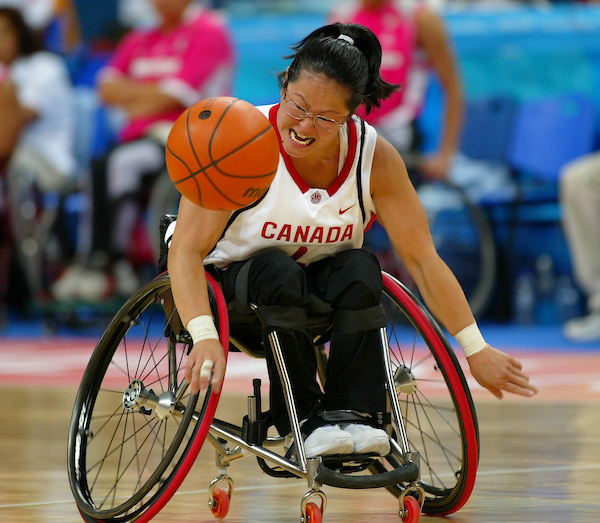 Canada’s participation is largely made possible through the efforts of Toronto orthopedic surgeon Dr. Robert Jackson, who later becomes the first president of the Canadian Wheelchair Basketball Association and the founder of the pre-cursor to the Canadian Paralympic Committee. Canada matches its total from the 1968 Games, winning 19 medals in Heidelberg, Germany with 40 participants. As a result of the efforts of Dr. Robert Jackson, Toronto hosts the Torontolympiad, which later becomes known as the fifth Paralympic Games. These games are the first to include athletes with an amputation or visual impairment. Canada wins 77 medals with a team of 89 athletes. Following these Games, the Canadian government grants funds to be spent on developing sport opportunities for people with a disability. The very first winter Games are also held in Ornskoldsvik, Sweden with two sports, alpine skiing and cross-country skiing. Canada sends six athletes, winning four medals (two gold, two bronze). Canada sends a team of 94 athletes to the Paralympic Summer Games in Arnhem, Netherlands, winning 130 medals (64 gold, 35 silver, and 31 bronze) and finishing fourth in the medal table. At the 1980 Paralympic Winter Games in Geilo, Norway, 20 Canadian athletes combine to win six medals. The Canadian Federation of Sport Organizations for the Disabled (CFSOD) is established and comprised of four national sport organizations: the Canadian Association for Disabled Skiing, the Canadian Amputee Sports Association, the Canadian Blind Sports Association, and the Canadian Wheelchair Sports Association. The mandate of the Federation is to coordinate activities common to member organizations for the promotion, rule integration, coaching, and administration of sports and competition involving athletes of more than one disability group. The growth of the Paralympic Games into an important international multi-sport event leads to the formation of the International Coordinating Committee of World Sports Organizations for the Disabled (ICC). 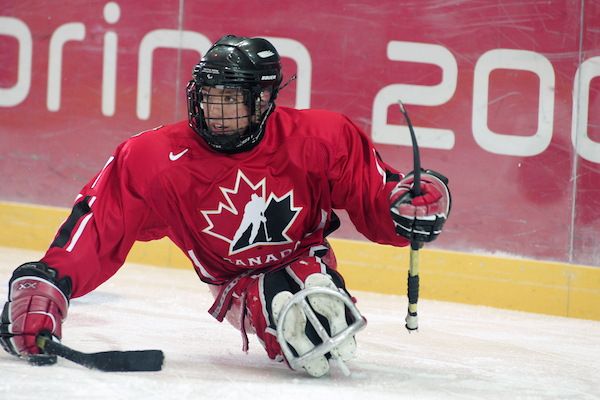 The ICC recognizes CFSOD as the organization in Canada responsible for Paralympic sport. The 1984 Winter Games are held in Innsbruck, Austria, where Canada captures 14 medals with a team of 22 athletes. Later in the year, the summer Games are hosted by two countries – New York, USA and back to its roots in Stoke Mandeville, Great Britain. The events see Canada earn 238 podium finishes with 166 participants. CFSOD continues to play a major role in sport for athletes with a disability. 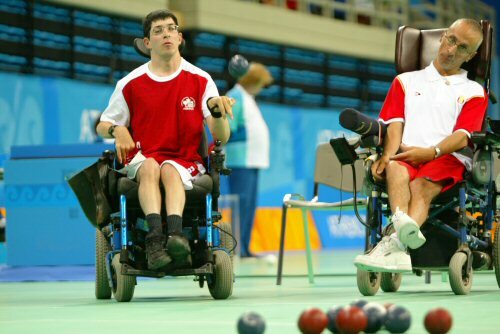 In addition to sending a Canadian team to the Paralympic Games, in 1987 it begins coordinating multi-sport competitions for athletes with a disability in Canada. 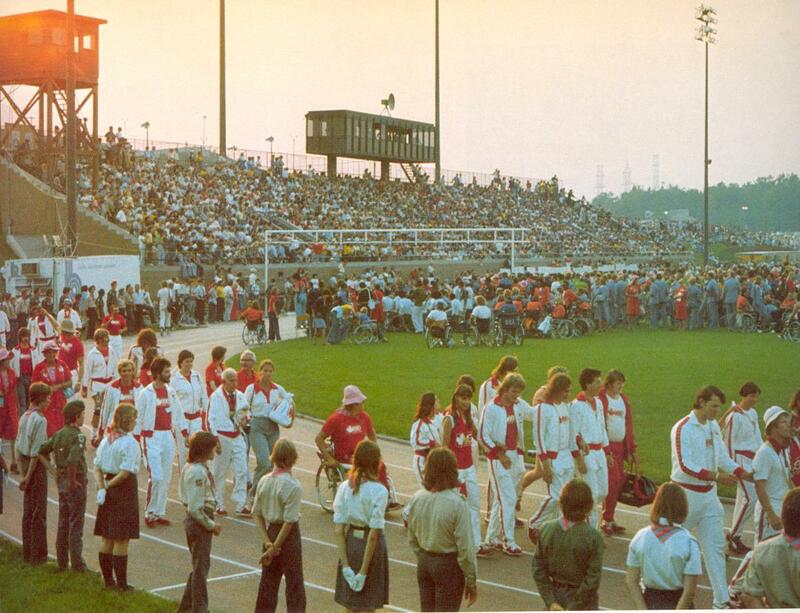 The first Games are held in Brantford, Ontario and generate a financial legacy that significantly boosts the development of sport for athletes with a disability. Canada competes in the 1988 Paralympic Games, finishing fourth overall with 149 medals. Held in Seoul, South Korea, they are the first Paralympic Games held concurrently with the Olympic Games. The winter Games earlier in the year are once again held in Innsbruck, Austria. Canada claims 13 medals with a 20-athlete team. The International Paralympic Committee is founded to act as the global governing body of the Paralympic Movement. The IPC’s founding president is Canadian Dr. Robert (Bob) Steadward, who remains the organization’s president until 2001. Albertville 1992 is the first Paralympic Winter Games to be held in the same city and venues as the Olympic Games. Canada sends 19 athletes to France and wins 12 medals. 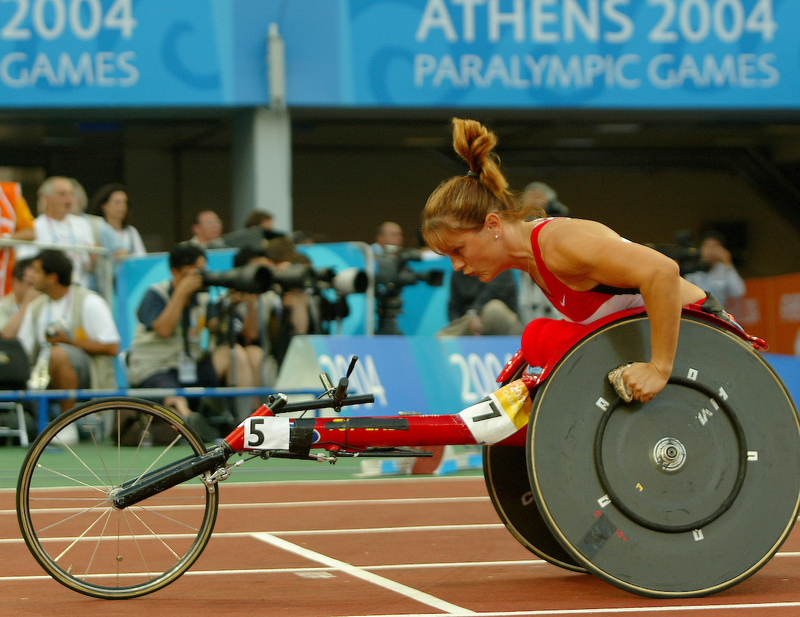 Later in the year, the Barcelona 1992 Paralympic Games takes place, shortly after the Olympic Games. Canada’s team of 138 athletes come home with 75 medals. Canadian Federation of Sport Organizations for the Disabled changes its name to the Canadian Paralympic Committee (CPC), and, for the first time, athletes with a disability are included in the Canada Games held in Kamloops, BC. The Canadian team wins eight medals at the Lillehammer 1994 Paralympic Winter Games in Norway. A total of 31 athletes represented Canada at the Games. At the 1996 Summer Games in Atlanta, a team of 133 athletes for Canada wins 69 medals, including 24 gold. Canada finishes seventh in the medal standings. 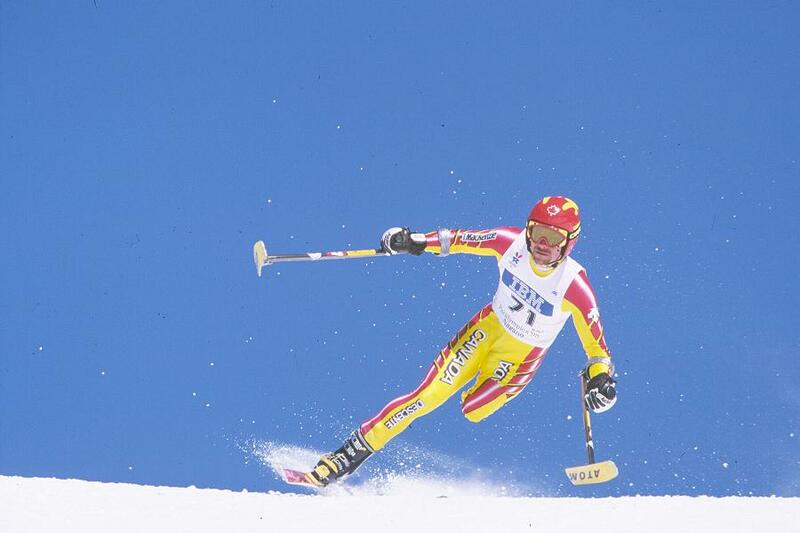 Canada captures 15 medals at the 1998 Nagano Paralympic Winter Games, including one gold medal from Daniel Wesley in alpine skiing (super-G, sit skiing). Thirty-three athletes travelled to Japan to represent Canada. 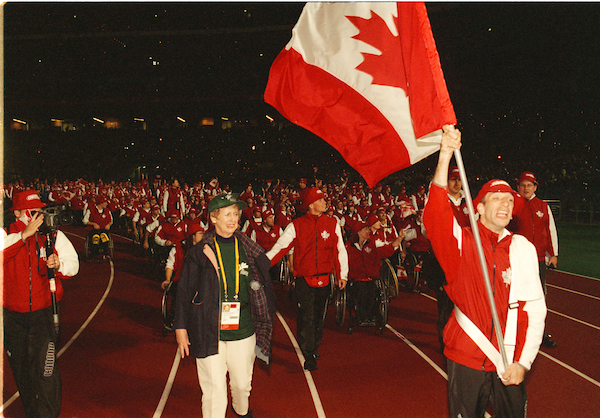 Canada sends 166 athletes to compete at the Sydney 2000 Paralympic Games. The final tally is 38 gold, 33 silver, and 25 bronze for 96 medals, good for third place in the country standings by gold medals. Having grown to include a membership of 22 national sport organizations, the CPC adopts a mandate to become a “Movement” based organization in order to act on behalf of all athletes with a disability by offering a series of programs in addition to supporting Games. At the Paralympic Winter Games in Salt Lake City, Utah, Canadian athletes win 15 medals to earn a finish of seventh overall in the overall medal standings. A total of 27 athletes represented the nation. Vancouver is chosen to host the Olympic and Paralympic Winter Games in 2010. The Vancouver Organizing Committee for the Olympic and Paralympic Winter Games (VANOC) is created. This is the first time a host Organizing Committee includes “Paralympic” in its official name. 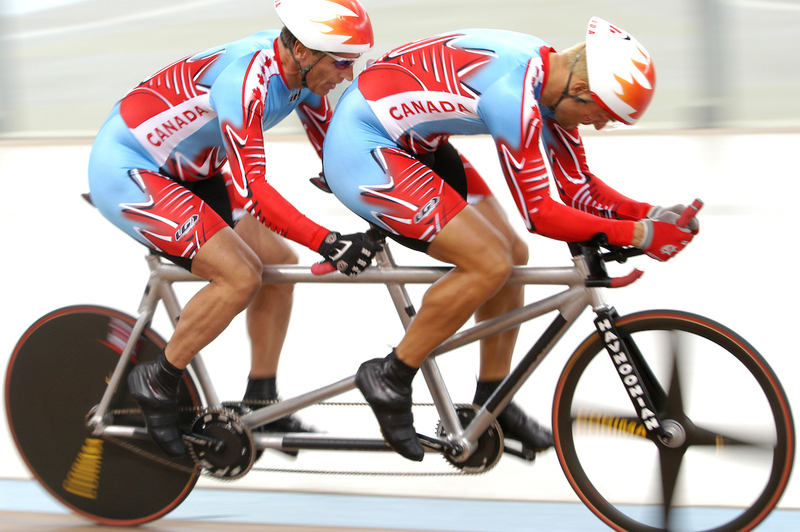 The CPC sends a Canadian team of 146 athletes to the 2004 Paralympic Summer Games in Athens, Greece, resulting in Canada's best-ever finish of third overall with 72 medals. 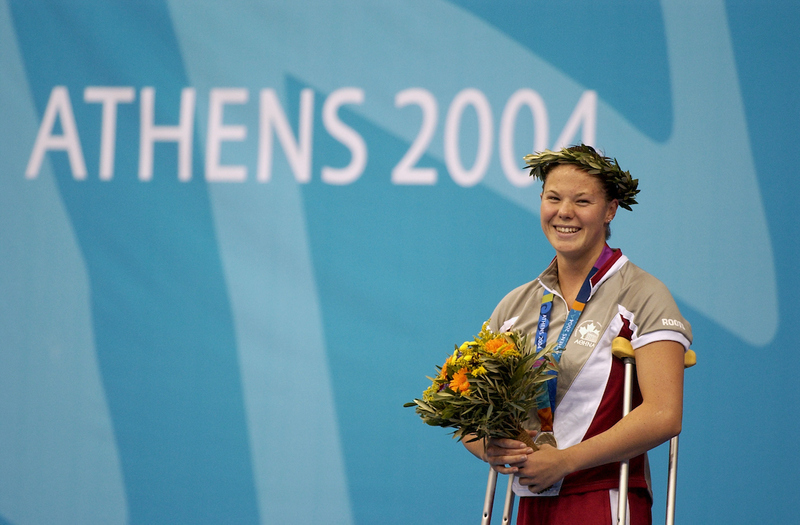 Stephanie Dixon wins eight medals in Para swimming to tie for most medals won by an individual athlete at the Games. The CPC signs a trademark agreement with VANOC. The CPC unveils a new logo. The CPC Board of Directors approves the 2006-2011 Business Plan that will lead the organization up to and beyond the Vancouver Paralympic Winter Games in 2010. A Canadian team of 34 athletes head to the 2006 Paralympic Winter Games in Torino, Italy, resulting in the country’s best-ever winter finish in the nation standings at sixth overall in total medals. The team wins 13 medals. At the 2007 Parapan American Games in Rio de Janeiro, Canada finished with a total of 112 medals: 49 gold, 37 silver and 26 bronze. The result placed Canada second in the country standings behind host Brazil. Canadian flagbearers in Rio were Jen Krempien (wheelchair basketball) for the Opening Ceremony and Benoit Huot (Para swimming) for the Closing Ceremony. Krempien led her team in earning a qualification slot for Beijing 2008 with a gold medal, while Huot swam his way to three gold and four silver medals. In the process, he broke the world record in the 200m individual medley and the Parapan American Games record in the 100m backstroke. 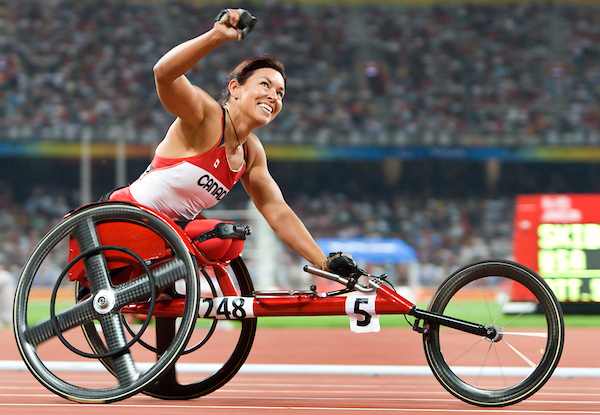 Canada finishes in seventh place at the Beijing Paralympic Games with 50 medals (19 gold, 10 silver and 21 bronze). Canadian women led the podium charge win 31 medals, including 14 gold. A total of 146 athletes travelled to China to represent Canada. 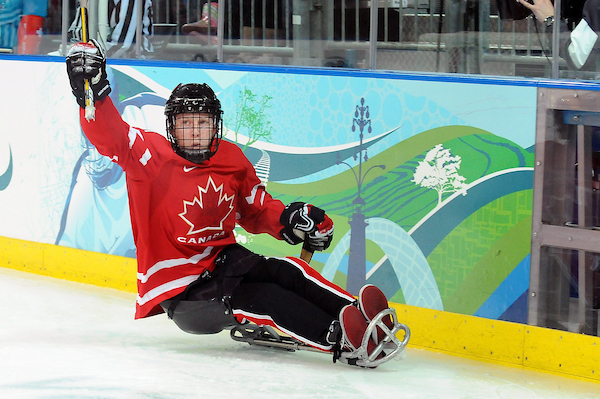 On home soil, Canada enjoyed its most successful Paralympic Winter Games in history to date. The Canadian team achieved its goal of being ranked among the Top 3 medal-winning nations. Canada earned 10 gold, five silver, and four bronze medals and finished with 19 overall. Canada was led into the Opening Ceremony in Vancouver by Para ice hockey player and team captain Jean Labonte. In the Closing Ceremony, Canada was represented by Vancouver 2010 standout Lauren Woolstencroft. The Para alpine skier swept all five disciplines in her women’s standing category, winning five gold medals. She became the first Canadian Paralympic winter athlete to win five gold medals in the same Games. 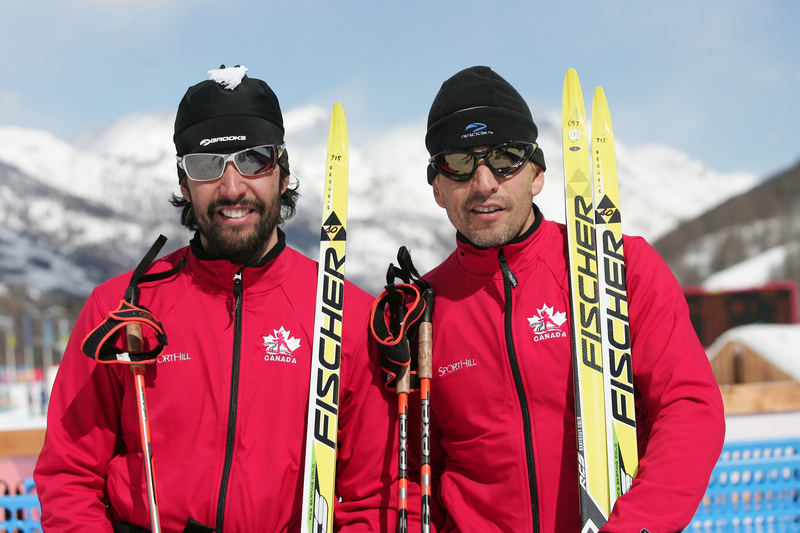 Amongst the other best performances, Para nordic star Brian McKeever and his guide/brother Robin won three gold medals during the Games. 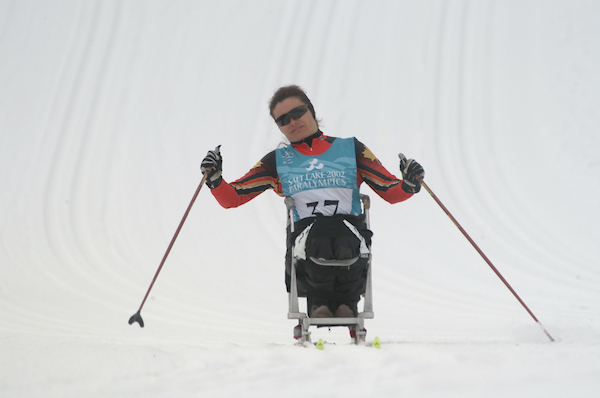 McKeever was the first person in the world to qualify for both the Olympic and Paralympic Winter Games in the same year. Viviane Forest (Para alpine, visually impaired) and guide Lindsay Debou earned five medals in Whistler (a gold, three silver, and one bronze). 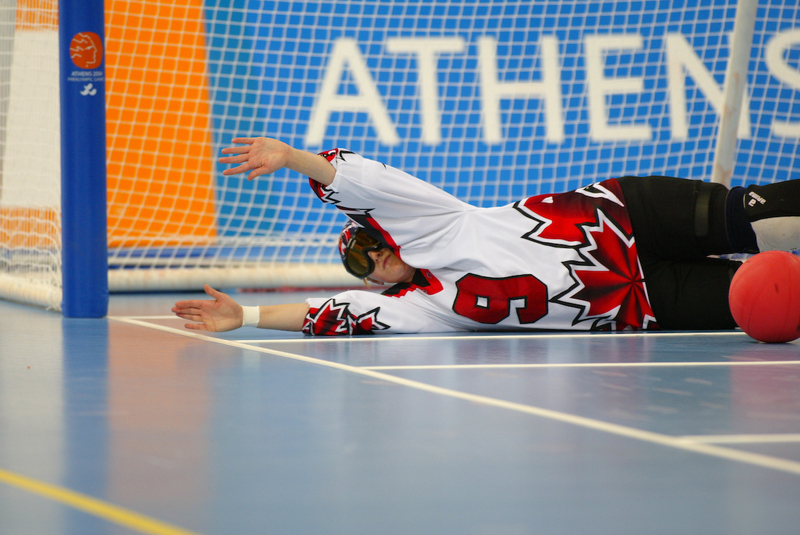 Forest became the first athlete to win gold at both the summer and winter Paralympic Games, formerly finishing first twice in goalball. The Canadian team enjoyed great success at the 2011 Parapan American Games in Guadalajara, Mexico, winning 63 medals. This included 13 gold, 22 silver, and 28 bronze. Canada's Opening Ceremony flag bearer was Dave Durepos of the men's wheelchair basketball squad. Cyclists Robbi Weldon and pilot Lyne Bessette were Canada's flag bearers for the Closing Ceremony. The dominant duo won gold in all four races for women's tandem cycling. Canada competed in 15 sports at the London 2012 Paralympic Games, coming home with 31 medals in total: seven gold, 15 silver and nine bronze. Canada placed 20th in the gold medal count and 13th in the overall medal count. 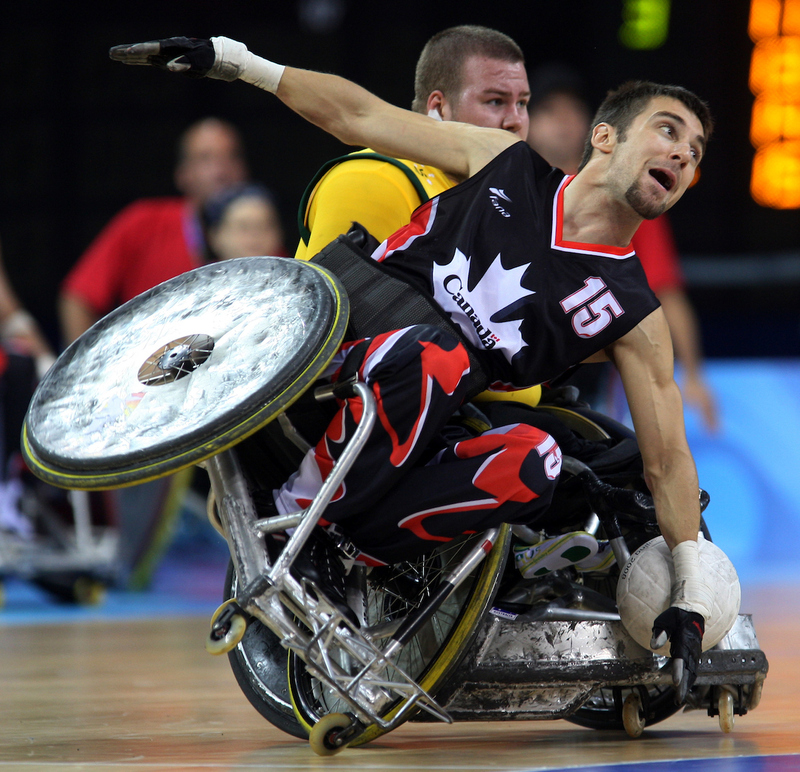 Canada's flag bearer for the Opening Ceremony was wheelchair rugby veteran Garett Hickling, who went on to lead his team to a silver medal performance in London. 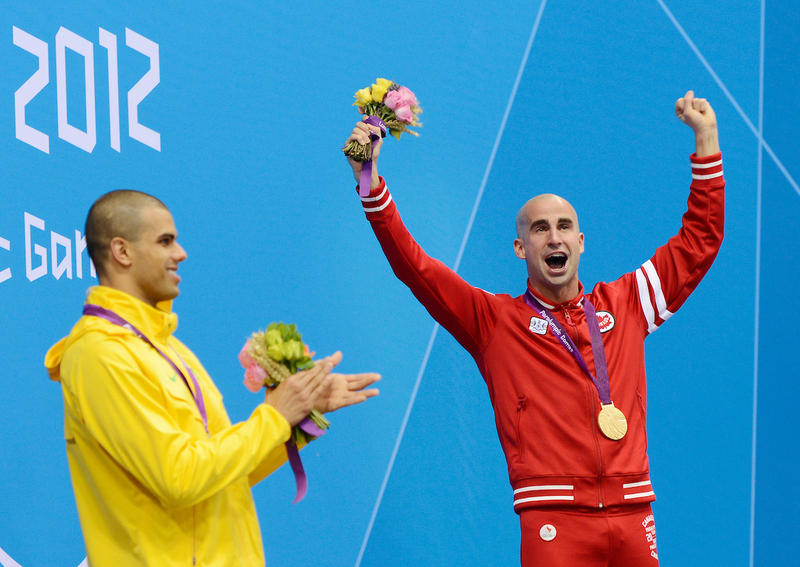 Canada's Closing Ceremony flag bearer was swimmer Benoit Huot, whose three-medal performance (a gold in world record time, a silver and a bronze) in London brought his career Paralympic medals total to 19. Among the many other performance highlights were swimmer Summer Mortimer with four medals (two gold in world record time, one silver and one bronze), the men's wheelchair basketball team going undefeated and winning gold, wheelchair racer Michelle Stilwell winning gold and silver medals, and swimmer Valérie Grand'Maison racing to one gold (in world-record time) and two silver medals. The women's cycling tandem of Robbi Weldon and Lyne Bessette also won gold in the road race, Marco Dispaltro and Josh Vander Vies won Canada's first-ever medal in the BC4 class in Boccia with a bronze, and Norbert Murphy claimed a bronze for Canada's first Paralympic medal in archery since 1984. 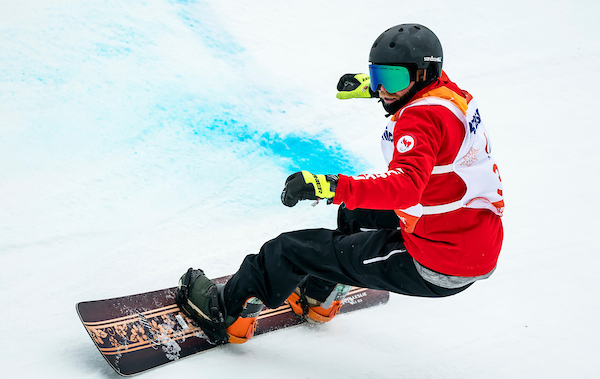 Canada sent a team of 54 athletes and guides to Sochi for the 2014 Paralympic Winter Games, including in Para snowboard which made its Paralympic debut. The Canadian Paralympic Team met its performance goal by finishing third in gold medal count, capturing seven gold, two silver, and seven bronze medals for a hardware total of 16. Wheelchair curler Sonja Gaudet was the Opening Ceremony flag bearer. The world’s most decorated wheelchair curler ultimately added a third straight gold medal to her name as Canada successfully defended its 2006 and 2010 title in the sport. Para alpine sit-skier Josh Dueck earned the honours for the Closing Ceremony thanks to a gold in the super combined and silver in the downhill. Brian McKeever continued his winning ways, adding three gold medals to Canada’s total in cross-country skiing. In addition, a new athlete emerged as a star – in Para alpine skiing, visually impaired racer Mac Marcoux took home one gold and two bronze medals at the age of 16. 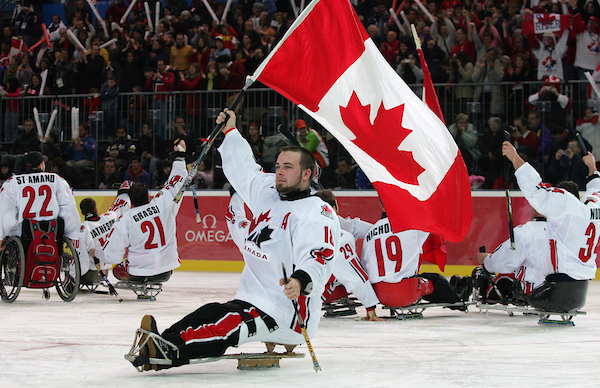 Canada also claimed its first Para ice hockey medal since 2006, winning bronze. 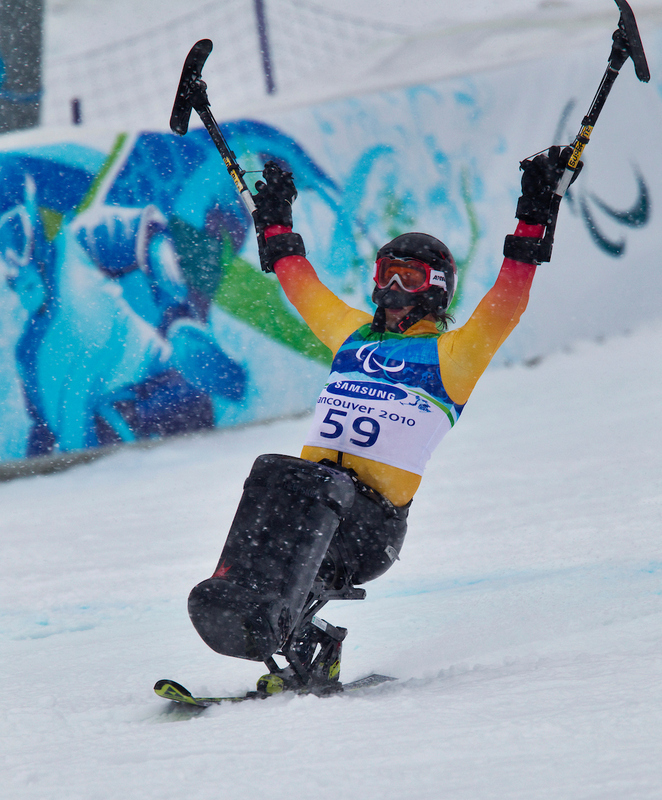 Sochi 2014 is also the first Paralympic Games in which the CPC is broadcast rightsholder. The CPC brought together several media partners and broadcast sponsors to create the Canadian Paralympic Broadcast Consortium and bring the Games back to viewers in Canada. This innovative approach will ultimately result in more coverage of the Paralympic Games. Hosting the Parapan American Games on home soil in Toronto, Canada brings a team of 216 athletes and guides to compete in 14 sports. Performing well in front of Canadian fans, the team concludes its most successful Parapan Am Games to date, finishing second in the overall medal count behind Brazil with 168 medals (50 gold, 63 silver, and 55 bronze). Boccia athlete Marco Dispaltro, a bronze medallist from the London 2012 Paralympic Games, is the flag bearer for Canada in the Opening Ceremony. Zak Madell, a wheelchair rugby player who helped lead his team to the gold medal in Toronto, was named Closing Ceremony flag bearer. Canada reached its goal of a Top 16 finish at the Rio 2016 Paralympic Games, finishing 14th overall in total medals with 29 (eight gold, 10 silver, and 11 bronze). A team of 162 athletes and guides participated in 19 sports, including new additions Para triathlon and Para canoe. Triple gold medallist Aurelie Rivard was Canada’s Closing Ceremony flag bearer. The 20-year-old set two world records en route to winning three gold and one silver in Rio. The flag bearer duties were handed over from wheelchair basketball star and co-captain of the men’s team David Eng, who led his nation into the Opening Ceremony. Performance highlights included Canada’s Para cyclists coming home with nine medals, its best Paralympic performance to date, led by Tristen Chernove with a gold, silver, and bronze. Teenaged Stefan Daniel won a silver medal in Para triathlon, a new sport on the Paralympic slate. In Para athletics, Michelle Stilwell and Brent Lakatos were multiple medallists in wheelchair racing, Stilwell with two golds and Lakatos posting a gold, silver, and two bronze medal performance. Benoit Huot won his 20th and what would ultimately be his last Paralympic medal in swimming, while Katarina Roxon become a Paralympic champion in her third Games. PyeongChang 2018 is the most successful Paralympic Winter Games ever for Canada, with 28 medals. Heading into the Games, the Canadian team of 55 athletes and guides had a goal to win more medals than the 16 claimed four years earlier in Sochi. Canada, who competed in all five sports in PyeongChang, tied that mark just five days into the Games before blowing past it by the event’s conclusion. The grand total was eight gold, four silver, and 16 bronze, good for second overall in total medals behind the United States. 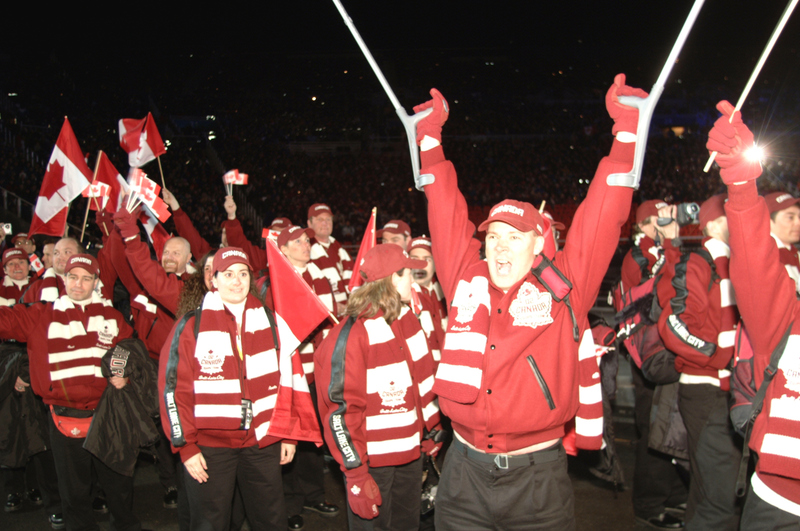 Brian McKeever led Canada into the Opening Ceremony as flag bearer and shortly thereafter became Canada’s most decorated Winter Paralympian. He added four more medals in PyeongChang to hit a total of 17, of which 13 are gold. Mark Arendz was Canada’s Closing Ceremony flag bearer after he won the most medals by a Canadian in a single Winter Games with six medals across biathlon and cross-country skiing (one gold, two silver, and three bronze). Other top highlights included 18-year-old Mollie Jepsen winning four medals (one gold, one silver, and two bronze) in Para alpine skiing and Natalie Wilkie, the youngest member of the Canadian Paralympic Team at 17 years and two months, winning a medal of each colour in Para cross-country skiing. In team sports, Canada maintained its podium streak in wheelchair curling with a bronze (medaling in all four Games since the sport’s Paralympic debut), and brought home a silver in Para ice hockey.